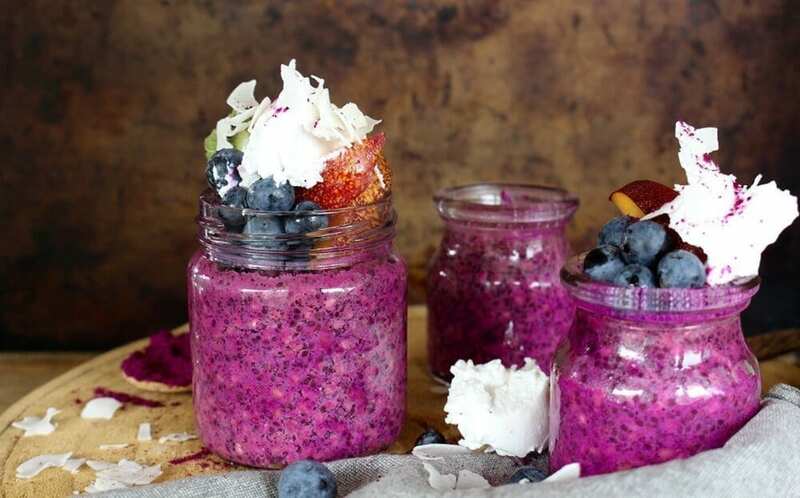 Superfood desserts that will infuse your world with delicious goodness! The holistic lifestyle encourages enjoyment of all delightful things in balance. 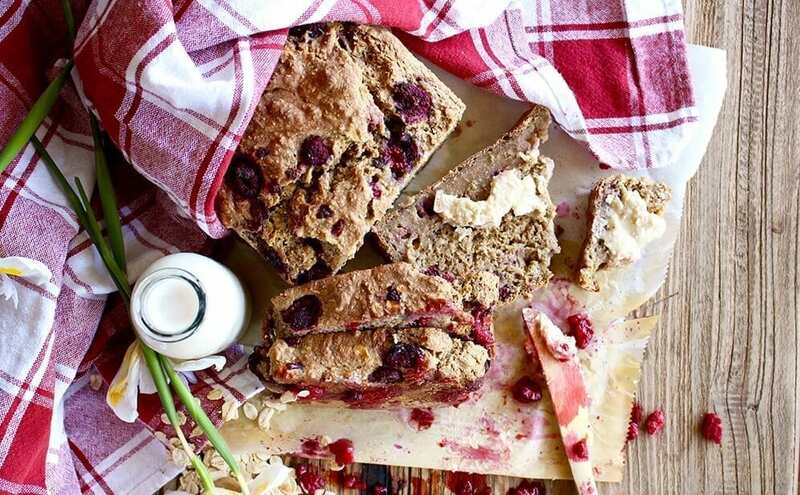 Luckily, with these genius recipes you can enjoy a little more of the sweet delights than their mainstream alternatives would healthily allow. The key to a good recipe is first and foremost, quality ingredients. However, these ingredients fall short if they do not produce fantastic flavour, texture and of course, a beneficial nutritional content. Here at The School of Natural Health Sciences we like all of our treats to tick every box, and once we’ve found that perfect recipe we can’t help but share it with all of our beloved readers. These next recipes are some really unique concoctions, so we hope you read them, digest them and then prepare them for literal digestion! Place the coconut oil in a medium saucepan over a medium–low heat. Add the two tablespoons of sweetener of your choice and combine. Now add the cacao and maca powder, plus the pinch of salt, and whisk until the mixture forms a loose paste. Remove from the heat. Add the quinoa puffs and stir to combine, making sure all the ingredients are coated in the chocolate paste. Taste and add a little more salt if needed. Line a 6 × 8-inch baking pan with parchment paper and scoop the batter into it. Use the palm of your hands to press everything loosely down into the tin. Now sprinkle the hazelnuts, cranberries, and pistachios evenly over the surface and, using the palm of your hands again, press everything together tightly and evenly to roughly one inch deep. Leave to cool, then place in the refrigerator to firm for 30 minutes. 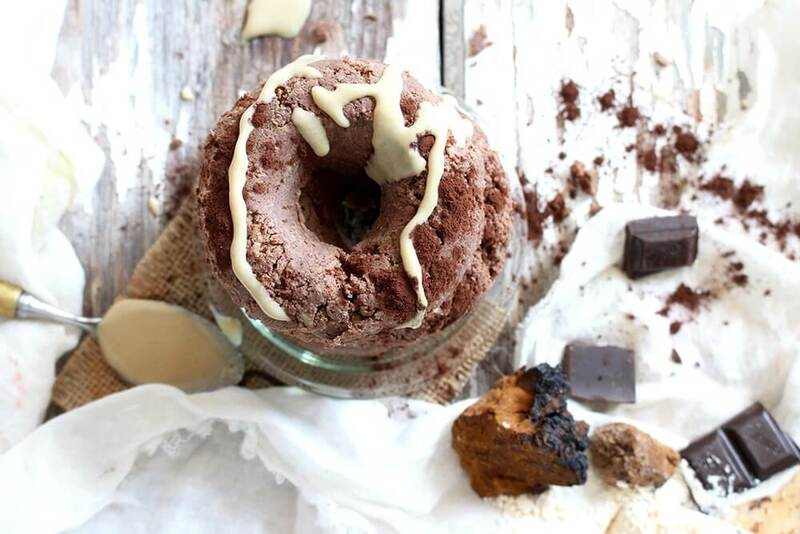 Creators comments: Don’t be intimidated by the chaga mushroom content in the doughnuts. If you didn’t know the flavour well, or know that it was in there, you probably wouldn’t taste it, and to be honest, chaga has such a subtle flavour that I can hardly taste it. And while we’re talking about the fact that they’re raw with mushrooms, we might as well mention the important part: that they’re chocolate and coconut with tahini. Tahini is one of my all time favourite flavours. It’s something about the creaminess, combined with the nuttiness, and the thick, drippy consistency that makes me want to eat it all the time. By the spoonful. The best part is, tahini is made from sesame seeds, which are incredibly high in calcium, perfect for all of us plant eaters. Combine the coconut, coconut flour, banana flour, cacao, chaga, and cinnamon in a bowl and stir to combine. In a separate bowl, melt the chocolate and add in the coconut oil, maple syrup, sunflower butter, tahini, and coconut cream. Stir wet ingredients into the dry mixture, and use your hands to bring it together. It should form a sticky dough that stays together easily and can be easily molded into the doughnut pan. If it seems a little dry, add extra coconut cream, one to two tablespoons at a time. Once the mixture reaches the right consistency, press into the doughnut pan and set in the fridge to harden. Spray your pan or line with paper if you are worried they will stick. After the doughnuts have been in the fridge to harden for three to four hours, or overnight, turn onto a plate and drizzle with tahini. This favourite classic is not taken up a notch, but by my standards, taken down a notch. Made with simple ingredients that you probably already have on hand. Not complicated, not loaded with different flours and different binding agents, and in fact, with very few ingredients in the realm of breads and baking. This version is whole grain, packed with healthy ingredients, and sweetened with banana and iron rich blackstrap molasses instead of sugar. Place the whole wheat flour, plain flour, oats, baking powder, baking soda and cinnamon in a large bowl and stir together until completely mixed. Meanwhile, in a blender, or using a whisk, blitz together the bananas, coconut milk, molasses and vanilla. Add the wet ingredients to the flour mixture and stir just until combined. Fold in the raspberries or other mix ins of your choice (blueberries, chocolate chips etc. ), and then bake in the oven, preheated to 180 degrees Celsius for 40-45 minutes, or until a toothpick inserted in the centre comes out clean. 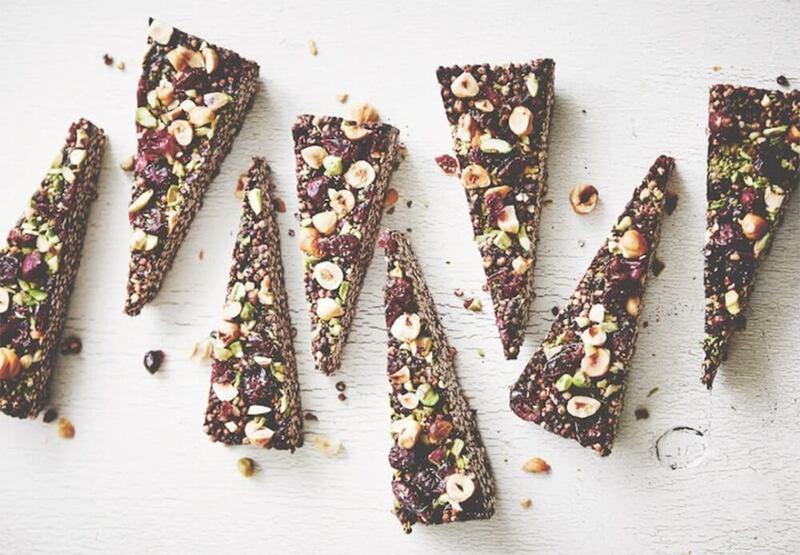 Once cooked, place on a rack to cool and then slice and enjoy with your favourite nut butter! Creators comments: This recipe is about soaking. Soaking buckwheat to make a buckwheat pudding similar to the same way you would make chia pudding. It makes sense given that it is a seed after all. When soaked, buckwheat assumes a gelatinous consistency and sticks together just like the chia seeds in chia pudding. 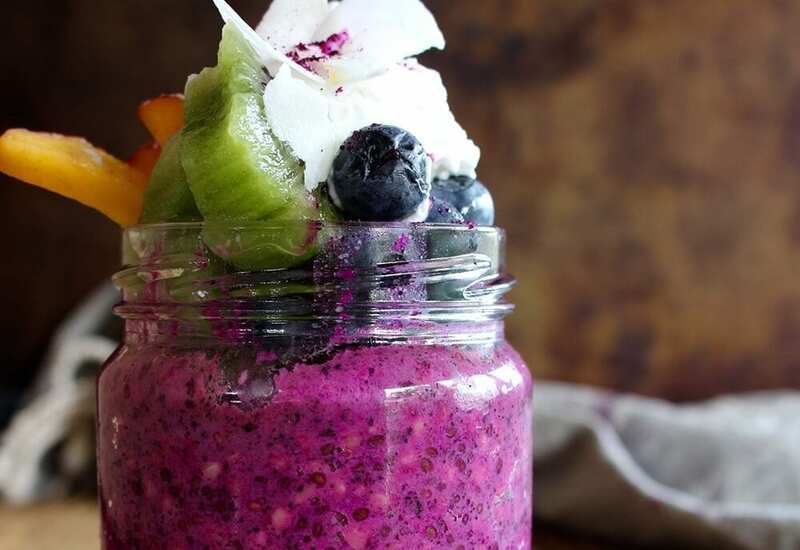 And then I had this amazing, beautifully coloured Dragonfruit powder from Just Blends, and all my smoothie experiments, and couldn’t help but picture that colour with these seeds. Place all the ingredients in a bowl and stir to combine. Sweeten to taste, adding more maple syrup if you prefer. Pour mixture into jars and place in the fridge to firm – 6-8 hours, or overnight. Once mixture is firm, top with fruit and yogurt and enjoy!